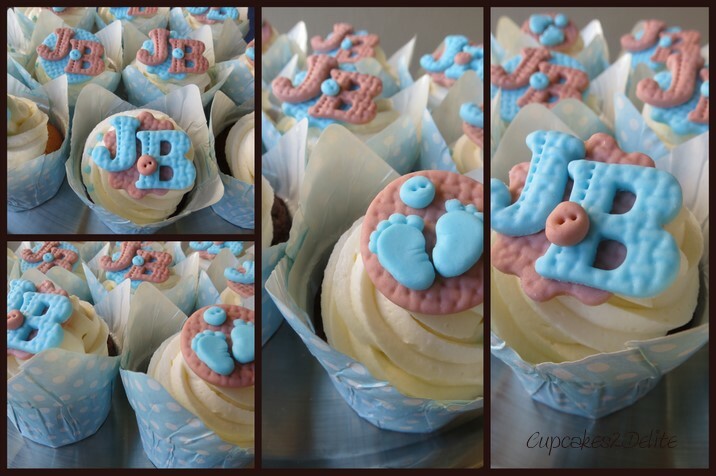 Christening Cupcakes for a Baby Boy! 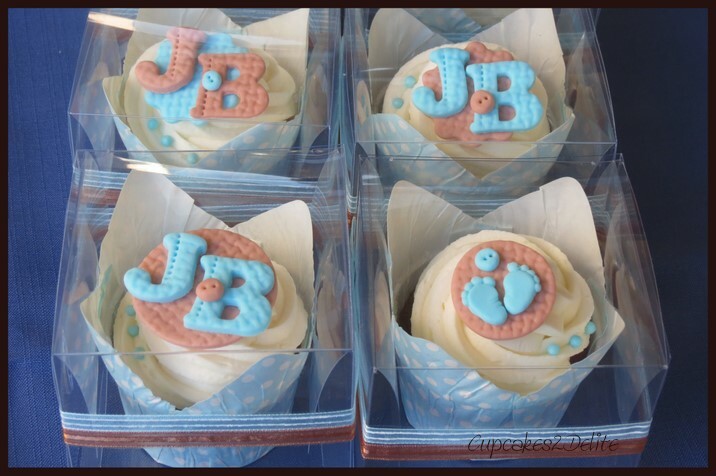 Congratulations Lee-Ann on the christening of your baby boy, Jack, and thank you for trusting me with this order of cupcakes for your guests. I made chocolate and vanilla cupcakes with a creamy vanilla icing and then decorations to match the colour scheme of Lee-Ann’s invitation for her son’s christening. I cut out circles and ruffled circles from sugar paste that I embossed with a woven pattern. I then cut out initials from the embossed sugar paste in the pale blue and brown and added these to the circles. To complete the baby theme I added a small sugar paste button to one of the initials. To the other circles I added pale blue sugar paste baby’s feet and a button. Lee-Ann requested each cupcake to be in a box with matching ribbon so that she could give a cupcake to each of her guests to take home. 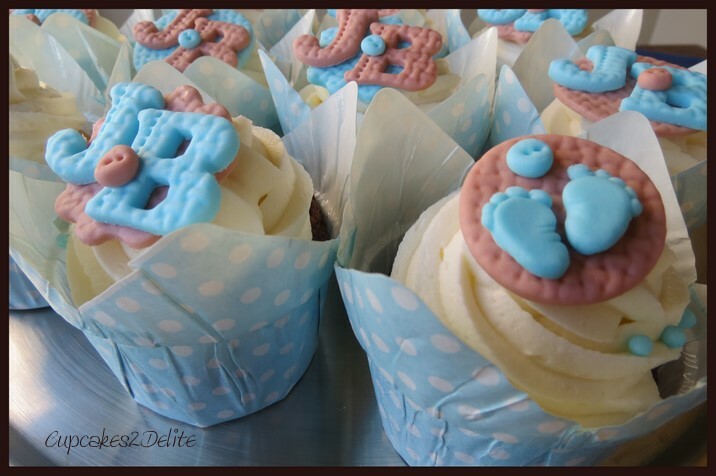 I am delighted that all the guests enjoyed their cupcakes Lee-Ann and thank you for allowing Cupcakes2Delite to be part of such a wonderful family celebration. such a nice gift to hand out to guests. You are most welcome Lee-Ann, delighted you enjoyed your cupcakes!